Sitting on the Kegel8 Wedge Cushion when doing your pelvic floor exercises is clinically proven to improve your pelvic floor exercising results! We know it can be confusing; you’re told you can do your kegels standing at the bus stop or while you brush your teeth… and it’s true, you can! But for the absolute best results from your pelvic floor exercises it’s been clinically proven you should be sitting, with perfect posture. Why seated pelvic floor exercises? Being seated helps to isolate the pelvic floor muscles so that when you contract, only the pelvic floor muscles are engaged and not the surrounding muscle groups such as glutes, thighs and abdominals. 50% of women don't know how to produce an effective pelvic floor contraction. As well as pushing down instead of pulling up, and holding your breath whilst you kegel, engaging the incorrect muscle groups is one of the most common mistakes made. The Kegel8 Pelvic Floor Exercise Wedge Cushion assists gravity in aligning SI and spine positioning internal organs and normalising circulation in the lower pelvis. 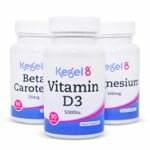 Improve the effectiveness of the Kegel8 Pelvic Floor Exercise Programme, and prevent back pain and coccyx pain. A study by the Australian Journal of Physiotherapy found that the most effective sitting position for kegels is to sit upright with the correct alignment (good posture). As participants slouched, it became more difficult for them to activate their pelvic floor muscles and their exercises became less effective. Good posture isn’t only important when doing your pelvic floor exercises; poor posture overall puts pressure on your core muscles, including your pelvic floor muscles, weakening them and increasing your chances of suffering from incontinence and even a prolapse. Adopting the correct posture throughout day-to-day activity promotes deep, abdominal muscle activity which then helps to support your pelvic organs and helps promote bladder control. A good or ‘positive’ posture can also benefit you in many other ways; according to a recent survey, up to 90% of us suffer from posture related aches and pains; positive posture can increase your energy levels and even reduce stress; standing and sitting with your shoulders back and chin up can make you look and feel more confident; and if your conscious of a pot-belly, the chances are this is down to poor posture too as slouching can even make you look a couple of pounds heavier than you actually are! We have worked with Natural Health Supports to produce our wedge cushion. The Kegel8 Pelvic Floor Exercise Wedge Cushion isn’t just your standard posture cushion, it’s been designed with your overall pelvic health in mind. It has a coccyx cut-out which helps guide your buttocks into the best position for positive posture; with the base of your spine over the cut-out to avoid any pressure on the spine. But that’s not all, the added feature of the coccyx cut-out enables you to sit with a Kegel8 Probe inserted, giving the wires an exit route, keeping them comfortably out of the way. 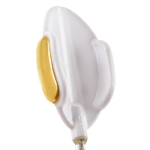 We have designed this probe specifically for use with the Kegel8 Pelvic Floor Exercise Cushion. The elimination of a protruding stem, as found on all other probes, means you can comfortably sit with the Glide Probe inserted. We omitted any Kegel8 branding from the wedge cushion, enabling you to take it anywhere to use as a general posture cushion without anyone learning too much about your pelvic floor exercise habits. 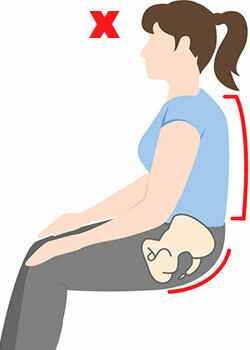 Sitting on the wedge cushion as often as possible – in the car, at the office, on the train – means not only will you be able to practice your manual pelvic floor exercises throughout the day in the best position possible, but you’ll also be training your body to hold positive posture naturally the more you use your posture cushion. The 8° wedge or the 11° wedge, which one is for you? It’s very rare that one size fits all with most things in life and the Kegel8 posture cushion is no different in that sense. Height is important as the angle of your legs to the floor is just as important as the alignment of your back. That’s why we offer 2 sizes of varying depths; the 11° wedge is best for those weighing over 15stone/95kg. The 8° wedge is more suitable for those under this weight bracket. The outer cover of the Kegel8 Pelvic Floor Exercise Wedge Cushion is machine washable at 30 degrees. 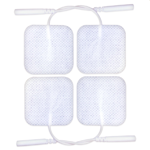 The inner foam is both supportive and comfortable as you would hope for from a support cushion. The cushion can be placed on any chair or seat and comes with a detachable strap which can be secured to a chair if the extra stability is needed. The cover also incorporates a small handy carry strap if you are taking your posture cushion around with you. Pelvic exercise wedge cushion and coccyx pain cushion for improved circulation, posture and more effective pelvic floor exercise, and prevent back pain. Kegel8 pelvic floor exercise machines to boost results. Use daily for improved pelvic circulation and posture to avoid back pain and coccyx pain. They are covered with an attractive velour zipped cover and come complete with carrying handle. Also included is an adjustable strap for fixing your wedge in place.